Bring your why to work. Start where you are. Start now. 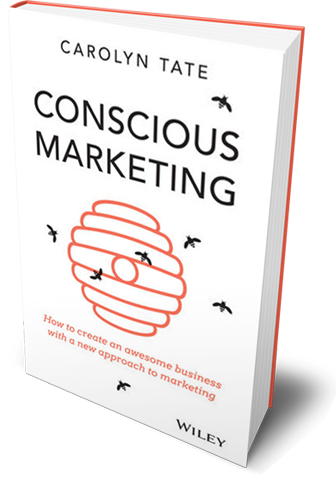 After 20 years as an employee in the banking and corporate world followed by 16 years as a self-employed marketer, author and speaker, I’ve discovered that the grass is not greener on either side. I’ve discovered that my perfect livelihood, one that would fulfill my purpose, wasn’t actually found working for someone else, or in fact, working for myself. Gloria Steinem once said “Writing is the only thing, that when I do it, I don’t feel that I should be doing something else.” That’s how I feel when I write too. After all these years, I know that my highest purpose is to write books that truly matter. There’s nothing else I’d rather do than write (mostly). What one ‘doing word’ would you replace the word ‘writing’ with? If I’d known 16 years ago what I know now, I could have stayed at work and still pursued a writer’s life. I could have completed a creative writing course after work hours. I could have written short articles, stories and poems. I could have learnt how to write a whole book and then how to publish it. I could have written a 50,000-word manuscript over 50 weekends. In short, I could have become an author and remained a worker. At some point, I could have even brought my own why right into my workplace – if I’d had the mindset to create the opportunity for it. 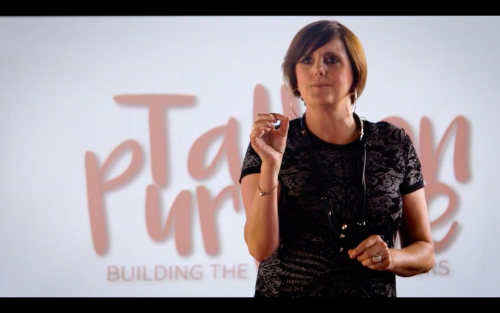 When it comes to discovering and creating our purpose, it’s not an ‘either/or’ scenario. You don’t need to leave your job to pursue it. It’s an ‘and/and’ scenario. You can do both at once, if you have the will. And you can start right now simply by being curious and taking action by trying out that thing you’ve always wanted to do. Action always precedes clarity of purpose. Perhaps it starts with an exploration of The Purpose Project? Now of course regrets are useless. If I hadn’t left the corporate world and gone on my purpose adventure, I wouldn’t be writing this for you and I wouldn’t be announcing an intriguing twist to my story. 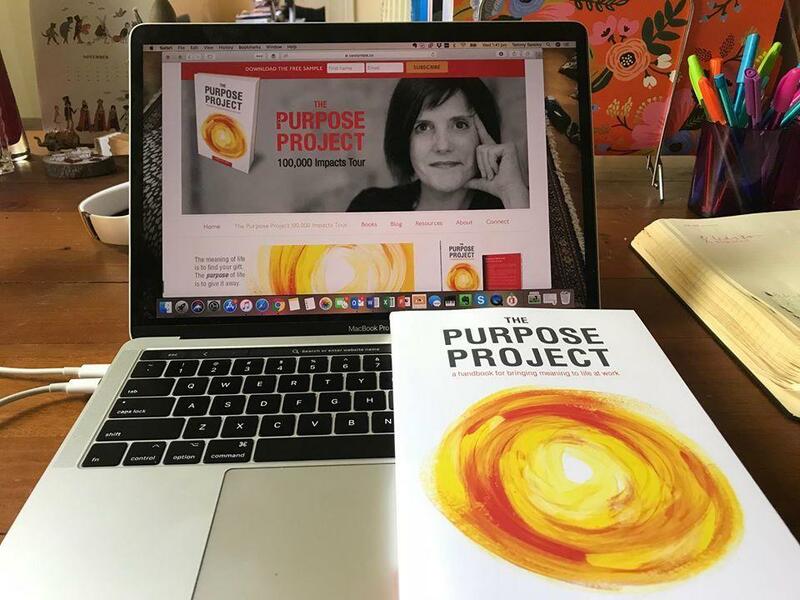 All these years later, I’m excited and really happy to be returning to my corporate roots, not as an employee, but in partnership with purpose-driven business leaders who are passionate about purpose. 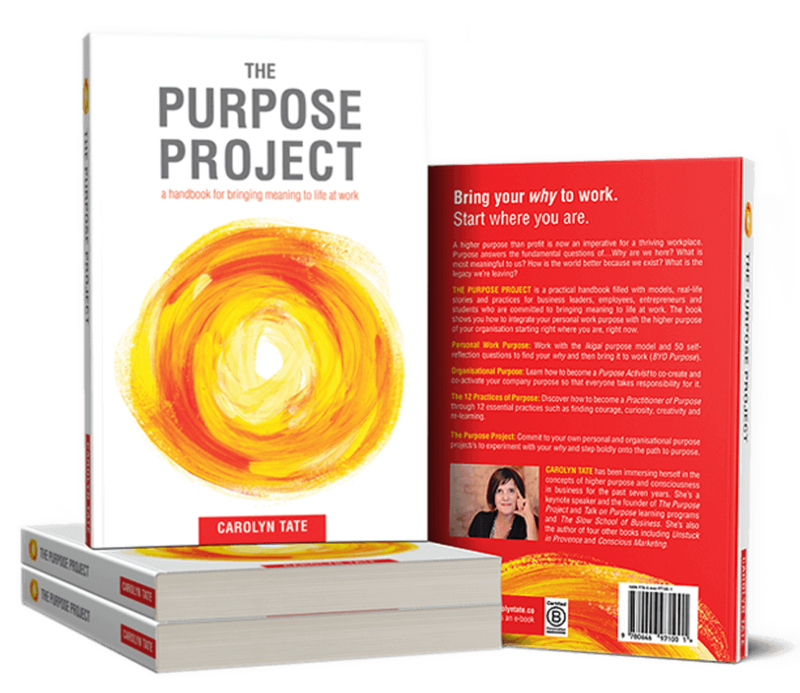 I’m doing this by teaching them everything I’ve learnt about Purpose with The Purpose Project Leadership Program. Intrigued? Please join me at a Purpose @ Work Leadership event to discover how to bring your own why to work and lead a purpose movement starting right where you are, right now.